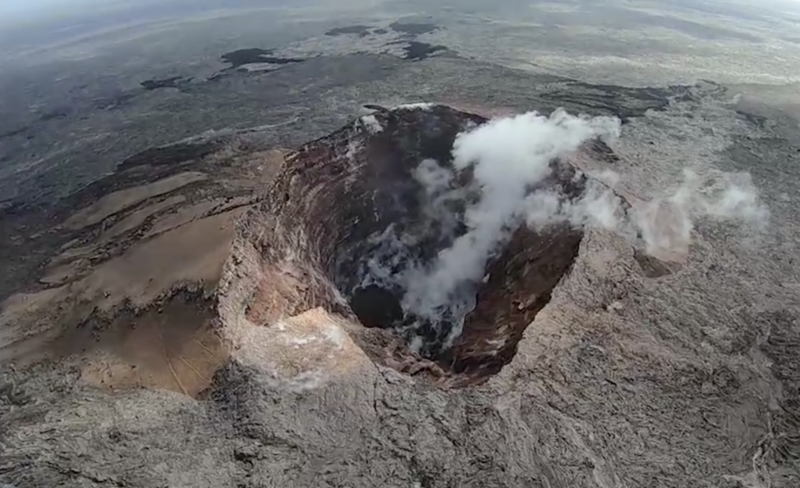 The Hawaiian Volcano Observatory (HVO) reports that Kīlauea Volcano is quiet. Monitoring data over the past eight months have shown relatively low rates of seismicity, deformation, and gas emission at the summit and East Rift Zone (ERZ) including the area of the 2018 eruption. Accordingly, HVO is lowering the Volcano Alert Level for ground-based hazards from ADVISORY to NORMAL. This means the volcano is at a non-eruptive, background state. The Aviation Color Code is also being lowered from YELLOW to GREEN. For definitions of USGS Volcano Alert Levels and Aviation Color Codes, see online. Despite this change, some hazardous conditions remain and are described below. Kīlauea remains an active volcano, and it will erupt again. Although we expect clear signs prior to a return to eruption, the time frame of warning may be short. Island of Hawaiʻi residents should be familiar with the long-term hazard map for Kīlauea Volcano and how to stay informed about Kīlauea activity. USGS video taken on March 18, 2019. 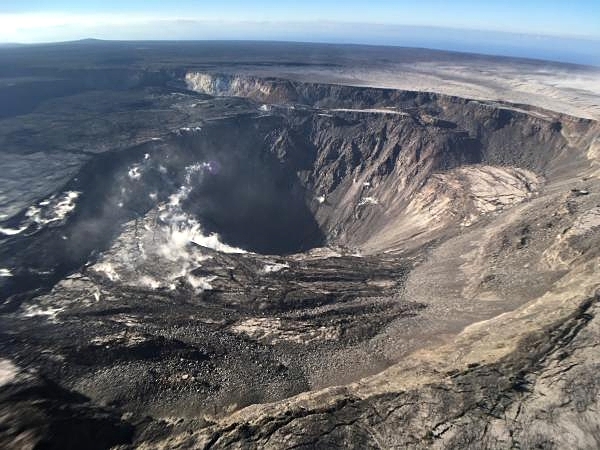 Kīlauea Volcano has maintained a low level of non-eruptive unrest since the end of the lower East Rift Zone eruption and summit collapse in early September 2018. The past nearly eight months without active lava at the surface of the volcano marks the longest time interval without eruption since the 17-month period between November 1979 and April 1982. 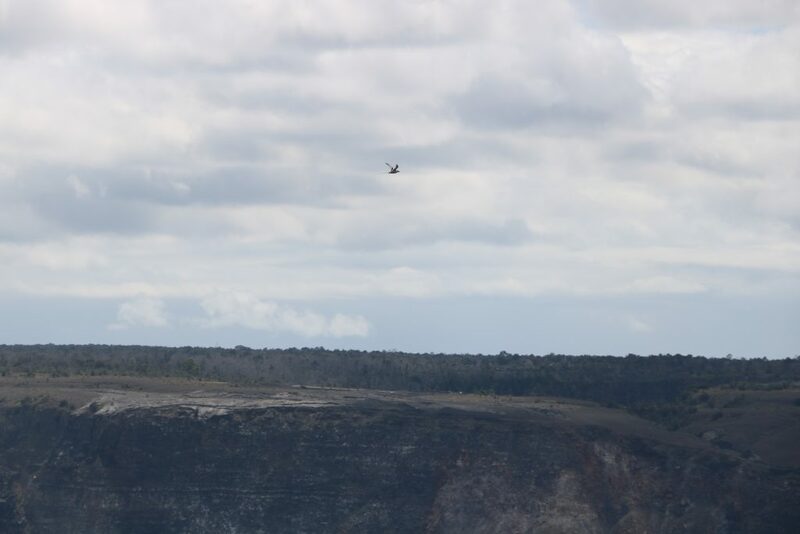 The total combined sulfur dioxide (SO2) emission rate from the summit, Puʻu ʻŌʻō, and lower East Rift Zone fissure vents is currently less than 100 tonnes per day, well below pre-2018 levels. Seismicity remains relatively low and steady across the volcano. Although weekly earthquake counts are elevated above pre-2018 eruption levels, they do not reflect shallowing of magma that typically occurs prior to eruption outbreaks. Most of these earthquakes are aftershocks of the May 4, 2018, magnitude-6.9 Kalapana earthquake, and they will continue at declining rates. Earthquakes such as the March 13, 2019, magnitude-5.5 south flank event reflect ongoing south flank instability and are not a sign of renewed eruption potential. Ground deformation continues, but at rates below those during the period of major eruptive activity in 2018. Deformation rates on the East Rift Zone and at Kīlauea’s summit are still higher than they were prior to April 2018, but have been slowly decreasing. The middle East Rift Zone between Puʻu ʻŌʻō and Highway 130 continues to show ground motion that likely reflects slow refilling of the deep rift zone. Deformation rates may remain high, as magma entering Kīlauea’s system is stored, rather than erupted. Motion on Kīlauea’s south flank is higher than before May’s magnitude-6.9 earthquake. This motion is consistent with increased sliding on Kīlauea’s décollement fault in a process called “afterslip,” which is expected following a large earthquake. What is next at Kīlauea Volcano? Since the early 1800s, when written records of Hawaiian volcanoes began, Kīlauea has had infrequent periods during which no lava erupted. The longest known eruptive pause was in 1935 to 1952, ending with eruption in the caldera. Neither this 17-year pause, nor any other shorter pause, followed partial collapse of the caldera such as the collapse that occurred in the summer of 2018. After partial caldera collapses in 1840 and 1868, lava returned to the caldera within days to a few weeks. The length of the current pause already exceeds those earlier post-collapse pauses. Following partial caldera collapses, the first eruption outside the caldera took place on the East Rift Zone 17 years after the 1823 collapse, on the Southwest Rift Zone 28 years after the 1840 collapse, and on the Southwest Rift Zone 52 years after the 1868 collapse. On the basis of these observations, we think it most likely that the next eruption of Kīlauea will take place in the caldera within a few years, and that the next eruption on one of the volcano’s rift zones will be in a decade or longer. 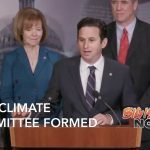 This prognosis assumes a return to Kīlauea’s general style of behavior for the past 200 years. There remains the possibility that Kīlauea’s behavior may return to the dominantly explosive 300 years preceding the early 1800s. Monitoring and ongoing analysis by HVO may be able to determine in advance which style of behavior will eventually prevail, but it is currently too early to tell. Importantly, current monitoring data do not suggest a return to eruptive activity or summit collapse in the coming months. However, Kīlauea is one of the most active volcanoes in the world, and additional eruptions will occur. Residents should remain informed of the volcano’s status, learn about long-term hazards, and understand how alerts and warnings of volcanic activity are distributed. To receive updates on Kīlauea or other Hawaiian volcanoes, sign up here. Despite the diminished activity on Kīlauea, hazardous conditions remain in the East Rift Zone and at the summit of the volcano. The Lower East Rift Zone and Puʻu ʻŌʻō lava flow fields include large areas of still-warm, rugged, extremely sharp, and unstable lava surfaces that are subject to collapse. During heavy rain, white-out conditions (from steam produced by rainwater interacting with hot rock) could develop on the lava flows leading to dangerous conditions. Recent collapses of the new shoreline are not known to have occurred, but could happen should the new lava sea cliffs become unstable. SO2 gas emissions have greatly decreased from lower East Rift Zone vents to a level below instrumental detection on area roadways. However, locally higher concentrations of SO2 or H2S (hydrogen sulfide) may persist and residents in downwind areas may, from time to time, notice odors of these gases. Steaming ground cracks are especially common just west of Highway 130. HVO continues to monitor these cracks periodically for changes and will do so for the foreseeable future. Some of what emanates from these thermal areas is related to the decomposition of vegetation and is not degassing magma. Emissions from these cracks are likely to continue for years and may change with atmospheric conditions and wind. Around Fissure 8, thick accumulations of tephra (fragmental volcanic debris) hide underground hazards such as holes, ground cracks, and collapsed houses and water tanks. Winds can pick up glassy and lightweight fragments, including Pele’s hair, and carry them downwind. Tephra can irritate eyes, skin, and respiratory systems, so prolonged exposure should be avoided. At the Kīlauea summit, steep crater walls destabilized by 2018 collapse events and earthquakes may be prone to sudden slumping or rockfalls for years to come, even without further ground shaking. Local concentrations of SO2 or H2S (hydrogen sulfide) remain low, but people in downwind areas may from time to time notice odors of these gases. As the water table beneath the caldera adjusts to post-collapse conditions and possibly returns to the area of subsidence, it is possible, but not certain, that hydrothermal explosions could occur. Kīlauea Volcano, as well as the entire Island of Hawaiʻi, remains an area of ongoing earthquake hazard. Additional aftershocks from the May 4, 2018, magnitude-6.9 earthquake and the March 13, 2019, magnitude-5.5 earthquake are expected, and some could be damaging. HVO continues to closely monitor incoming geologic, seismic, deformation, and gas data for evidence of significant magma shallowing or pressurization that could mean Kīlauea Volcano’s magmatic system is building toward renewed activity. 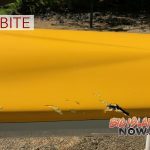 From Hawai‘i County Civil Defense: Hawai‘i County Civil Defense advises that lava flows and features created by the 2018 eruption are primarily on private property and persons are asked to be respectful and not enter or park on private property.